CAN14 – Parrott Rifle, 3/4 scale, 2-1/4″ bore, 500#, 58″ long. The Parrott Rifle 3/4 scale, is the largest of the mid-sized guns produced at Hern – 150# – 500#. This gun would be great for a small gun crew, or large display piece. Hern Scale guns are accurate Historical Reproductions, patterns made from war department ordinance drawings. Some liberty has been taken as to the bore diameter to match the commonly available DOM product for a quality cast in place steel liner. The Parrott Rifle was a type of muzzle-loading rifled artillery weapon used extensively in the American Civil War. The gun was invented by Captain Robert Parker Parrott, a West Point graduate. He resigned from the service in 1836 and became the superintendent of the West PointFoundry in Cold Spring, New York. He created the first Parrott Rifle (and corresponding projectile) in 1860 and patented it in 1861. 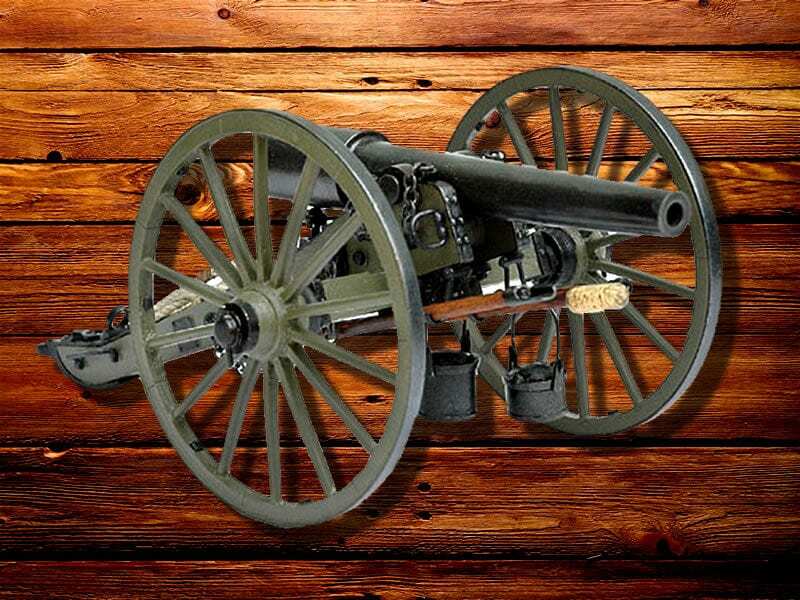 Parrott Rifles were manufactured with a combination of cast and wrought iron. The cast iron made for an accurate gun, but was brittle enough to suffer fractures. Hence, a large wrought iron reinforcing band was overlaid on the breech to give it additional strength. There were prior cannons designed this way, but the method of securing this band was the innovation that allowed the Parrott to overcome the deficiencies of these earlier models. It was applied to the gun red-hot and then the gun was turned while pouring water down the muzzle, allowing the band to attach uniformly. By the end of the Civil War, both sides were using this type of gun extensively. 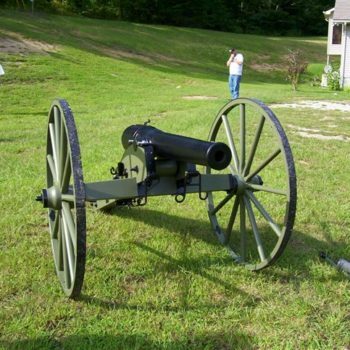 Parrott Rifles were manufactured in different sizes, from 10-pounders up to the rare 300-pounder. In the field, the 10- and 20-pounders were used by both armies. 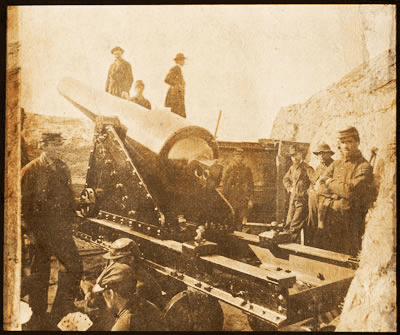 The 20-pounder was the largest field gun used during the war, with the barrel alone weighing over 1,800 pounds. 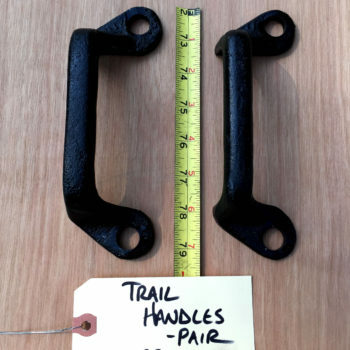 The smaller size was much more prevalent; it came in two bore sizes: 2.9 inch (74 mm)and 3.0-in (76 mm). 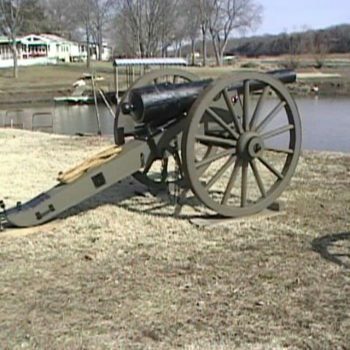 Confederate forces used both bore sizes during the war, which added to the complication of supplying the appropriate ammunition to its batteries. Until 1864, Union batteries used only the 2.9-in. The M1863, with a 3-in bore, had firing characteristics similar to the earlier model; it can be recognized by its straight barrel, without muzzle-swell. Its range was up to 2,000 yards (1,800 m) with a trained crew. Naval versions of the 20-, 30-, 60-, and 100-pound Parrotts were also used by the Union navy. The 100-pound naval Parrott could achieve a range of 6900 yards (6300 meters) at an elevation of 25 degrees, or fire an 80-pound shell 7810 yards (7140 m) at 30 degrees elevation. 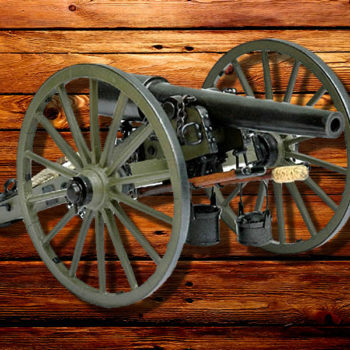 Although accurate, as well as being cheaper and easier to make than most rifled artillery guns, the Parrott had a poor reputation for safety and they were shunned by many artillerists. At the end of 1862, Henry J. Hunt attempted to get the Parrott eliminated from the Army of the Potomac’s inventory, preferring the 3-inch Ordnance Rifle. During battles when the Parrott gun would burst, artillerists would chip out the jagged parts and continue firing. In 1889, The New York Times called on the Ordnance Bureau of the War Department to discontinue use of the Parrott gun altogether, following a series of mishaps at the West Point training grounds. Several hundred Parrott gun tubes remain today, many adorning battlefield parks, county courthouses, museums, etc. 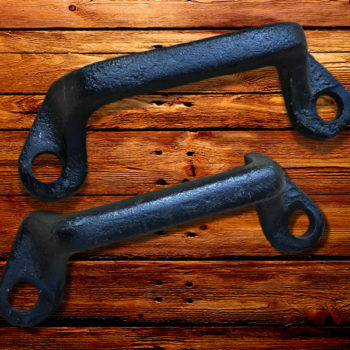 The gun tubes made by Parrott’s foundry are identifiable by the letters WPF (West Point Foundry) found on the gun tube, along with the initials RPP for Robert P. Parrott. The first production Parrott gun tube (Serial Number 1) still exists, and is preserved on a reproduction gun carriage in the center square of Hanover, Pennsylvania, as part of a display commemorating the Battle of Hanover. A list of many of the surviving tubes can be found at the National Register of Surviving Civil War Artillery.